According to Mobile World Live, KT, the second largest mobile operator in South Korea, announced plans to start commercial 5G service in March 2019, which will make it one of the first operators in the world to launch the next generation mobile technology, Yonhap News Agency reported. 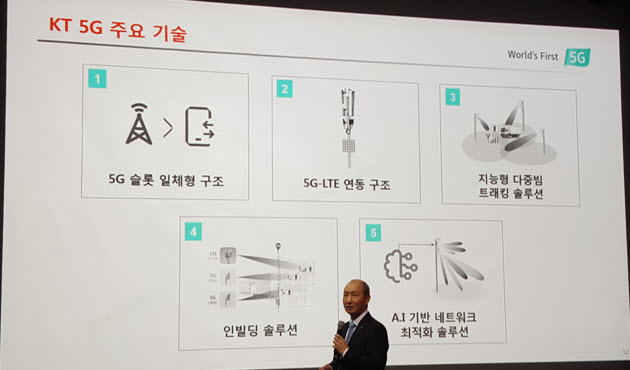 KT’s announcement comes despite the head of its 5G business unit, Lee Yong-gyoo, stating at Mobile World Congress last month it is not yet ploughing ahead with large-scale investment in the technology. In a recent ITU conference KT also talked about their 5G service implementation at the PyeongChang 2018 Winter olympics. Samsung & Intel had partnered with KT over this event. According to Fierce Wireless report, 22 5G links at 10 different sites—delivered 3,800 terabytes of data during the two-week event. A prestandard 5G network running in 28 GHz with vendors including Samsung and Ericsson used only line-of-site connections for communications in the millimeter-wave spectrum. KT recorded peak speeds of up to 3.5 Gbps on a 5G Samsung tablet using the network. 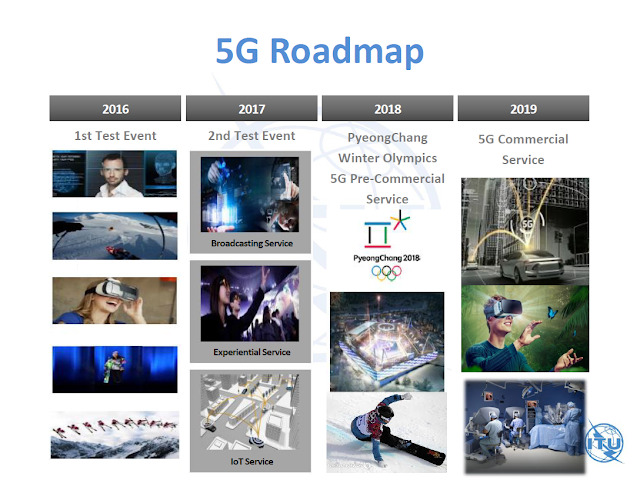 According to a report in Netmanias, KT is developing Five network solutions for 5G commercialization in 2019. These are technologies for expanding service coverage and maximizing 5G network performance. The solution development has been completed to 80% level, and it is planned to be completed in the third quarter of this year. 5G slot-integrated structure - LTE has a delay of 4 ms for transmitting Ack signal after receiving data due to difference of upload and download frequency channels. The 5G integrated slot structure transmits the Ack signal at the same time as the data reception in the TDD scheme, so that the delay can be minimized. 5G-LTE interworking structure - In case of shadow area due to discontinuous coverage in initial 5G network, it automatically switches to LTE network and provides seamless service. Intelligent multi-beam tracking solution - When the user terminal is disconnected from the main base station, the user can access the auxiliary base station and use 5G service seamlessly by grabbing the signal of the peripheral auxiliary base station in addition to the main base station. In building solutions - 5G frequency is very high in transmission loss due to high frequency band frequency characteristics. KT secures 5G quality by using 5G repeater in offices, premises, underground parking lots, and other buildings. AI-based network optimization solution - 5G network optimization technology with remote and automation functions. For example, when performing antenna optimization, an engineer is stationed on the LTE site. In 5G, antenna direction and angle are optimized remotely. Finally, some videos of KT booth and 5G equipment from Mobile World Congress 2018.